What is professional content writing? Anyone seeking to take their business online will require the services of a content writer for any number of reasons, be it a simple one-time service or a constant supply of specialized articles. Naturally, in this era of information technologies when the internet is an indispensable part of both professional and everyday life, content writing services are in high demand. Thus, there are many professional companies and self-employed writers offering this particular service. The biggest issue when it comes to hiring freelance writers is not unprofessionalism or incompetence, but rather – inconsistency. While there are many freelancers out there who are indisputably professional and highly competent, there are just as many of those whose work doesn’t meet certain customers’ quality requirements in one or more areas. Contrastively, companies who employ professional writers full time are able to provide exactly that consistency. With them, there is none of the hassle that usually comes with finding proper services on freelancing platforms. Everything is streamlined for your convenience. The company sets the prices and picks the writers who best fit your required project, making it is much easier to ensure the quality of the final product and the value you will get for your money. Finding a quality, professional content writing service may not necessarily be difficult, but it can definitely be tedious. In order to help you make an informed decision and make your search easier, we have compiled a list of the ten best businesses which offer professional content writing services. Taken into account are all of the important qualities a good content writing service should have – knowledge of the language, the time in which content is delivered, the overall quality of the text and ultimately, the best value for money. We know that professional writers are scarce, which is why we’ve thoroughly researched the best professional writing services and made this top 10 list. Favoring small businesses as their clients, the company provides quality articles which are carefully reviewed and edited by their team. Currently, they employ over a hundred professional writers throughout Canada and the United States. The company takes great care to communicate efficiently with their clients and provides everything a good content writing business should – reliability, quality and customer satisfaction. It may not be able to compete directly with some of the bigger, better-established companies, but the quality and flexible pricing make them a good choice, especially for small busineses. In the end, it takes up the spot number 9. What started out as a one-man operation in 2012 has since expanded to become a company with a team of highly skilled and experienced professionals. Trained in both online advertising and traditional marketing, The Skilled Writer Staff is capable of producing top quality SEO-friendly content in any number of industries. The Skilled Writer is straightforward, versatile and customer-friendly. Its primary strength is the great care put into making their content SEO-friendly. This, combined with low prices and the swift service provided by the highly professional staff, places the company at the 8th spot. The company’s credits-based payment system makes it a prime choice for clients seeking to secure a long-term supply of quality content. On the other hand, it has little to no potential to provide any benefits for those seeking a one-time service. Despite the company’s indisputable professionalism, this lack of versatility bumps it down to the 7th place on our list. A relatively young company founded in 2014, Write Collective takes great care to ensure that their team can deliver exactly what the company promises – high quality engaging content. As such, college education and experience in the industry are both mandatory requirements for their writers. While their prices might be somewhat higher than those of other competitors, they are more than justified. The company’s rapid growth in a short time span testifies precisely to the quality level of the services which the company offers. It may not be the cheapest or the most versatile on the list, but sheer quality is what earns Write Collective the 6th spot. We have written a detailed review about ContentDevelopmentPros, which you can check here. Just as the name implies, ContentDevelopmentPros is a team of highly qualified professional writers capable of delivering many types of content, both online and offline. All the content produced is carefully written, reviewed and edited by the team, ensuring the quality of final product. When orders are placed through the site, the customer has the option to either pick one of the company’s standard offers or instead place a custom order that fits their needs better. The content is delivered quickly (2-3 business days) and the customer is not limited regarding the number of revisions that can be made on the content they ordered. Versatility and excellent customer service for a low price are what makes this company stand out and place it 5th on our list. Founded in 2008 and currently made up of carefully evaluated professional writers, Textworkers aims to deliver top quality content to a wide audience. Their clients already include big names such as Verizon, Avon, Maybelline and others. Ordering content is simple – after creating a free account, the user is taken to their personal dashboard where they can specify the details of the content they need. The quality of the content and speed of service justify the slightly above average prices, as well as the fact that most orders with the exception of large bulk purchases are delivered in less than 48 hours. All of this helps place Textworkers rank 4th on the list. Since its founding in 2011, Express Writers has grown to become one of the most professional and reliable companies on the market. They offer a range of content writing services, all of which are carefully crafted and edited by its handpicked team of experts. While the prices might seem high at first glance, the top notch quality and service more than justify it. Combine that quality with the wide range of services offered, and it is clear why spot number 3 is reserved for Express Writers. This Edinburgh-based company was founded in 2008 by a small team of writers and proofreaders. A customer-oriented philosophy with which it was founded is the driving force behind this company today. Since its founding, TextRoyal has become a big and successful business, having delivered over 100,000 texts to a worldwide audience since its inception. Orders are placed directly through the company’s website, through a simple and compact form. Given the substantial quality delivered at a relatively low price in a short time span, along with overall immense customer satisfaction, TextRoyal fully deserves to be 2nd on the list. What makes Content Customs stand out from its competitors is the number of services they provide. They do not help customers merely with content creation, but also SEO, marketing and even web design and development. Content customs boasts unparalleled versatility. They offer all the most important services needed by websites and blogs to become and remain successful, and for a very acceptable price. It is precisely because of this amazing range and quality of services which they provide that it rightfully takes the 1st spot on the list. We have written a detailed review about GoSuperb, which you can check here. On their website, sits a proud claim of the fact that this fledgling company – in terms of age at least – does something different: the content you get doesn’t merely state or give you the obvious. It’s on this that Go Superb has hit a home run. Insightful, carefully researched and supremely professional pieces that add brevity and depth to online content. Not only are articles delivered in a timely manner, but their in-house team’s knowledge and ability to make the most of the language adds the necessary pizzazz to their writing, and means they deliver the goods every time. What’s more the ordering process is hassle-free and the GoSuperb pricing structure is based on the degree of in-depth insight necessary to write the piece, which means when precision is key, it’ll hit the nail on the head. Full refunds are guaranteed in the event of even a lone grammatical error. All of these qualities see GoSuperb sitting at the top of the tree. 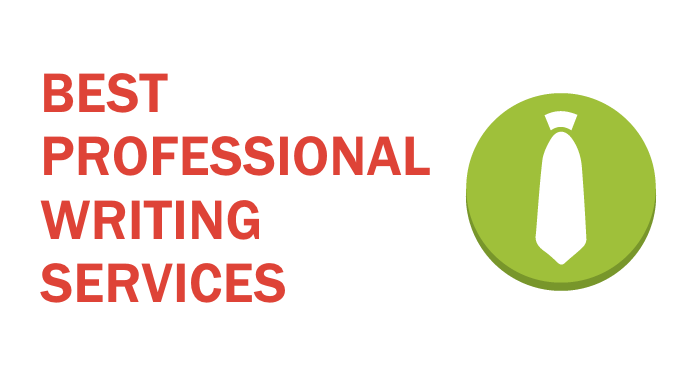 This was a list on the most professional writing services that you can find online.